If you plan to visit Germany you may have to apply for a visa – depending on the time you’ll be there, your nationality and the purpose of your journey. 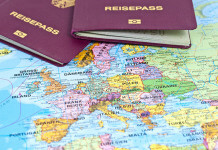 This article will show you when it’s needed and how to get a German visa. If you’re just visiting for up to 90 days you can usually get by without a visa, provided your password was issued by an EU-member country, as well as USA or Canada. If you’re coming from a non-Schengen state or if you plan to stay longer than 90 days (either for work or studying), you should apply for an appropriate German visa before going to the country. Exceptions apply if you are a UE citizen or a citizen of Iceland, Liechtenstein, Norway or Switzerland – in which case you’re entitled to living and working in Germany without need to apply for a visa. How to apply for German visa? You will find the visa application card right here, as well as in the official website for the German embassy. You can submit your applications starting 90 days before the date of your journey. You should do it at least 4-6 weeks in advance to make sure the application process will be completed with time to spare. To apply for a German visa, you should make sure you have a passport with a validity of at least three months beyond the expected expiration date of your visa. 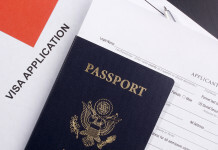 You can check a detailed list of passport requirements at the embassy’s website. You also need to submit proof that you have travel insurance, unless you’re simply asking for an airport transit visa. When you fill in the details in the application form, you have to submit the document to the German embassy in your country; you can go there in person or upload it directly in the German embassy website. If by some reason your application is refused, you will be informed of the reasons why. In this case, you can immediately submit an appeal once you attend to the observations in the refusal letter. At the time of writing, the fee you’ll be expected to pay (whether or not your application is successful) is €60. While this price has remained the same since 2008 it can change anytime, so you may want to confirm this at the embassy website where you upload the visa application form. Asides from the airport transit visa, there are essentially four different types of German visa: visit, business, study or work. Once you are issued one of these documents by the German consulate, it will be valid for travelling to other countries in the Schengen area: this includes Austria, Belgium, the Czech Republic, Denmark, Estonia, Finland, France, Greece, Hungary, Iceland, Italy, Latvia, Lithuania, Luxembourg, Malta, the Netherlands, Norway, Poland, Portugal, Slovakia, Slovenia, Spain and Sweden. Basically, when visiting various countries in the Schengen area, you only have to get a visa from the first country you visit and it will be valid in the remaining countries. If you already have a valid visa from another country in the Schengen area, it should specify “valid for Schengen states”. Please note that if you only have a transit visa, it literally is only valid for staying overnight within an international airport. If you are just passing through but wish to spend the night in a hotel outside the airport, you should make sure to get a regular visit/tourism visa. Remember, it’s always wise to apply for your visa several weeks in advance, to ensure your travel plans won’t be delayed by the visa application process, which sometimes can take a while to conclude. If you have a regular visa (travel/work/business/study) and you plan to visit other Schengen countries during your stay in Germany, you should take notice of the sticker in your visa. Asides from the validity, it will point out how many entries it is valid for. A visa can be valid for a single entry, double entry or multiple-entry, so make sure to apply for the type that suits you best. A travel visa is also known as a short-stay visa or Schengen visa; it is usually valid for a period of 90 days. Anyone looking to spend extended periods in Germany – either working or studying – should apply for a suitable visa for those activities. 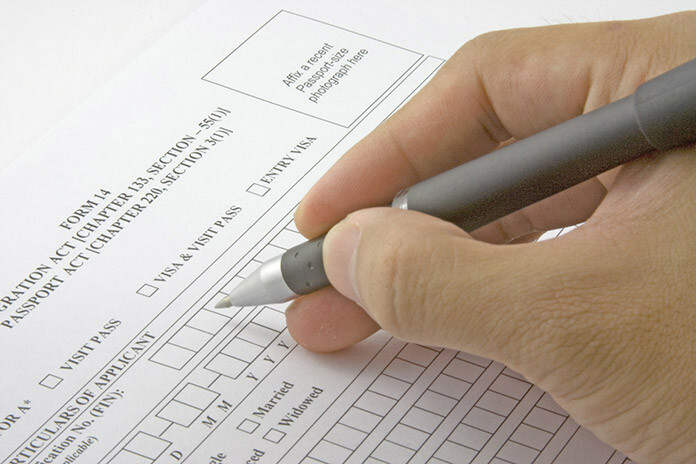 The type of visa that you get depends on the reasons you elaborate in your application form. So make sure your application is clear and concise: if you plan to go to Germany looking for work (or if you already have work), you need a work or business visa. If you have been accepted in a German university, you need to make sure you have a study visa. Most often you’ll get a multiple entry visa by default, but it’s a good idea specifying you need one, if you plan to visit other Schengen countries.